With the Republican and Democratic Parties seemingly headed for a crack up this Presidential year, and headed for a battle between two candidates with historic unfavorable poll numbers, is this the opening needed for the Libertarian Party to attain a foothold on the main stage of American politics? With the anti-establishment trend wrecking the GOP’s ‘kingmaker’ or donor-driven nomination racket (but delivering us with Trump as an alternative), and millions of progressive Millenials in rear guard mutiny over Hillary’s pending coronation as Democratic nominee, many voters will be looking for an option more agreeable to them. Will they see it in the LP in 2016? The stakes for the Party of Liberty are enormous, as it appears pro-liberty people finally have an angle to disalign many average voters from the stranglehold of the two-party statist beast. It appears a sizeable fraction of regular rank and file members of both sides consistently advise pollsters that they will never vote for Trump, and will never vote for Hillary. This means their basic choices are to either stay home, or to consider a third candidate. If the LP contender becomes that choice, we could be in for a breakthrough moment for Libertarians to make their case before an electorate that is finally ready for them. If the LP can get 5% or more of the Presidential vote around the country in 2016, it would qualify for regular or permanent ballot status in about half of the states for several years (i.e., those states that give such status based on getting a minimum vote level in the Presidential race). This would vastly lessen the burden of the party in running and funding independent petition drives they would otherwise have to conduct across the US. With that burden cut in half nationally, the party could then concentrate on earning regular status in the other states. Overall, a uniform 5%+ national performance by the LP would lead to improving the party’s ability to maintain regular ballot status (once obtained) across the country. This was one of the practical reasons why many in the party would have welcomed Ron Paul running on the LP line in 2008 and 2012, after his GOP bid was stalled. The LP Field: Too Stale, Too Weird, Too Young? The big question is whether the current LP field is compelling enough to capitalize on what could be an historic opening to solidify the party’s standing across the nation. The main contenders for the nomination at the May 27-30 LP convention in Orlando are former NM Governor Gary Johnson, anti-virus software creator John McAfee, and Austin Peterson, a former Ron Paul activist and LP national staffer. 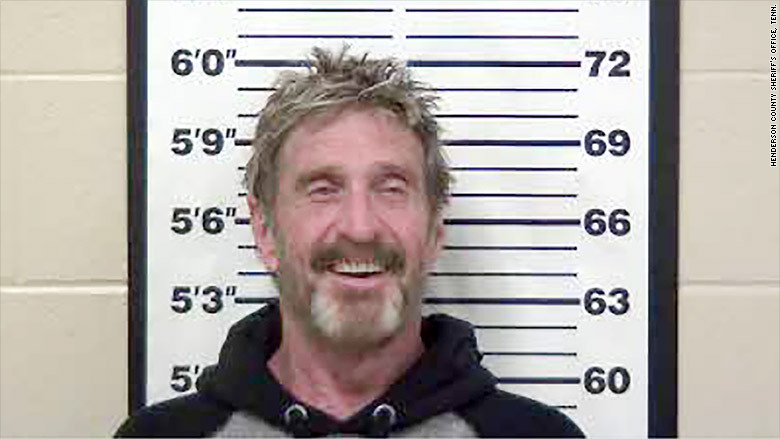 McAfee has given many the impression he is personally too “odd,” despite being likable, and Peterson way too green to be running for President, so my discussion will dwell on the LP front runner. As I noted last time, Johnson has the most serious resume, the most organization, the most experience (having already run as the LP candidate in 2012), and through his lawsuit against the Commission on Presidential Debates, may create a pathway for leveling the campaign playing field such that “minor” parties can get the same prime time as the majors to debate the issues. As of this writing, in fact, Johnson is polling at 11%, according to a Monmouth survey that includes him in a three way race between Johnson, Trump and Clinton. “If this isn’t an opportunity for the Libertarian nominee — and I hope to be the Libertarian nominee — there will never be an opportunity, in my opinion,” said Johnson, in an interview with the Daily Caller. “There’s no way that a third party wins the presidency without being in the presidential debates.” While his total package and being at the center of the CPB suit gives him the nominee-apparent edge as the most solid choice, partisans for the other candidates say he already had his chance in the last election, and should step aside for a ‘fresher’ face. Some are also wary of the recent spate of former GOP candidates floating over to the Libertarian universe (Bob Barr, in ’08, Johnson in ’12) to take its nomination, even as their commitment to or understanding of the party’s principles remains an open question. For example, Johnson holds to an oft-repeated, but misleading summary of libertarianism, meant to keep the message simple to the masses, but at the cost of confusing the ideology with that of being a “moderate” (read: social liberal) politician: “I really believe that the majority of people in this country are libertarians, that we’re classically liberal at the end of the day, we’re fiscally conservative…but also we’re socially liberal. Who cares how you live your life as long as it doesn’t adversely affect mine?” On this basis, he describes Rand and even Ron Paul as not “really” libertarian, because they have socially right views. In reality, libertarians are fiscally libertarian, and socially libertarian, or first and foremost committed to the non-aggression principle (stated within the LP in terms of the non-initiation of force pledge). Libertarians are committed to not introducing force to solve problems, but reasonably disagree on the application of that principle on social matters. Social liberalism commonly goes far beyond tolerating personal freedom, towards a left authoritarian use of force (laws, regulations, suits) to demand everybody approve and support the behaviors under dispute. This is not a minute distinction, as this aggression doesn’t let the other side of the country live their life (most typically in terms of expressing their free exercise of religion, or to express historic cultural beliefs). So Johnson’s conflation of liberty principle into being just a form of being a moderate is fatally flawed, and ends up miseducating voters as to what it means to be a libertarian. Indeed, the recent Pew study confirmed that only 11% of the public identified as “libertarian” by this understanding, meaning the “social liberalism” version of the concept is not catching on. By contrast, the three Paul liberty campaigns within the Republican universe have shown more support exists for libertarian candidates when they are aligned with the cultural right, not the left. Johnson is nonetheless strong enough on credentials, and sound enough on liberty issues in general to represent the party again, and may very well carry the LP to the much needed 5% threshold, or even the 15% needed to be in the fall debates. 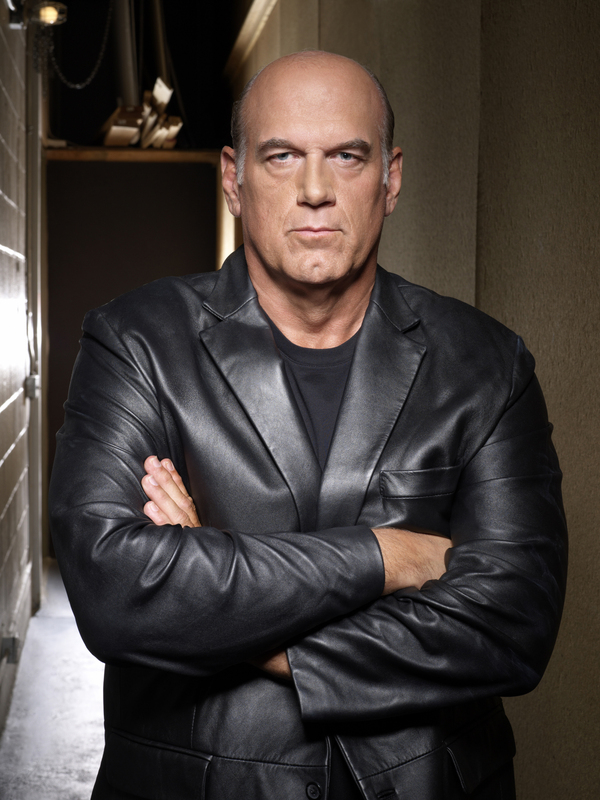 Other rumors are swarming about other last minute celebrities possibly parachuting in to the Orlando convention to seek the nomination, including populist Jesse Ventura, or even libertarian actors like Kurt Russell. The significance of the LP in creating this interest (or speculation) is that other than the major parties, it is the only (limited-government friendly) entity has an already up and running, ready-to-go structure for being on the ballot in virtually all 50 states (the Constitution Party has only managed to get on the ballot in 40 states, among other problems it has faced). All the talk of an independent candidacy by anybody (including most recently, Bloomberg) crashes against the reality that the barriers to getting on the ballot in all the states from scratch are odiously difficult under the current election laws. The famous “establishment” is responsible for this, as well as many other structural barriers the special interest elite have erected to frustrate alternative political voices from getting anywhere near the White House. There is a possibility for another late entrant in the LP Presidential sweepstakes—Rand Paul. The Senator has returned to the Senate since his shockingly disappointing showing in the GOP’s Iowa caucuses, and has indicated he will now focus on legislation, BUT, if he has the stomach to do it, there is a window for him to reassert himself into the race over the next month. 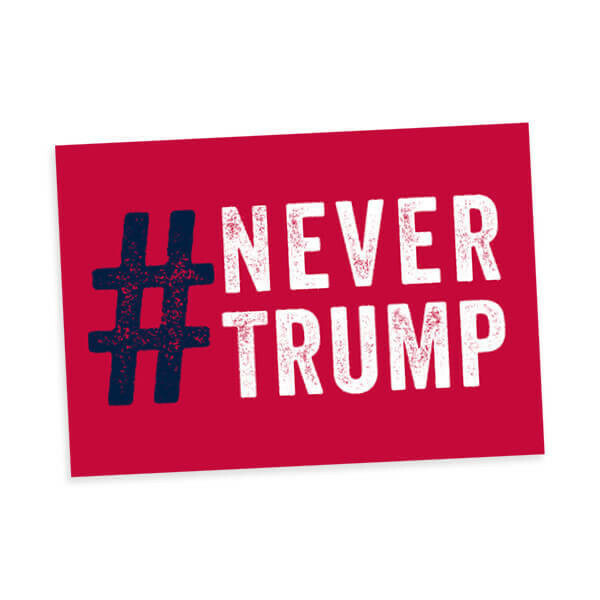 The “Never Trump” GOP elite plotters have made it clear they either want a contested Republican convention, or a third party option if Trump gets nominated—but the window for a viable independent candidacy is vanishing, and the path to a contested con is not established at this point. Most significantly, by the establishment itself floating both ideas, it removes the negative stigma associated with a Republican undoing their prospective nominee. The LP race is perceived to lack a more exciting candidate than the Johnson/McAffee/Peterson choices on hand. If the GOP primary outcomes show the “deprive Trump of needed delegates” plot is actually working, Rand could announce he is running for the LP nomination, while offering the GOP the chance to avoid a splitting of the ‘limited government” vote in the election, by nominating him instead of Trump at the contested GOP convention. This move would give Rand the leverage to be the alternative candidate, cover the “independent deadline has past” issue, push out Trump, and ensure a Paul is on the ballot in November. The elite couldn’t talk down or demonize the idea of Paul “being a spoiler,” because they already have been talking up the notion, in order to stop Trump. This would be a way for Rand to become the anti-Trump in a third party manner that couldn’t be held against him. The key to this ‘long shot’ idea is, Rand is the only candidate from the 2016 Republican field who could feasibly win the LP nomination, thus the only GOP candidate who could pose a third party challenge this year if he chose to do so. The other GOP candidates would have to go the full independent line route across 50 states, the deadlines for which are passing. If Rand does so in May, he basically calls the establishment’s bluff to support an alternative to Trump, either at the convention or in the election. If he makes himself that option, the elite can’t demonize him for doing so, since they advocated for somebody to be that alternative. With his presence as the nominated LP candidate in place by the time of a contested GOP convention, delegates will have to choose to vote for Trump, or a different nominee and certainly lose in November due to Paul splitting the vote, OR vote for Rand. This is a way for Rand to take advantage of the GOP elite trying to reinvent the nomination process, and end up as both the Republican and Libertarian Party candidate on Election Day. Build beyond the liberty base, by appealing to their point of concern. In light of the huge negatives Hillary and Trump have, emphasize the positives about the liberty approach to reachable voting blocs, from the point of view of what do they get out of supporting the liberty candidate. Instead of just preaching to the choir, or shoving ‘our’ issues down other people’s throats, talk about their issues in liberty terms. Discuss with evangelicals how to achieve their cultural goals in a pro-liberty way, talk to people consumed with the jobs crisis about the liberty approach to job creation, explain to those who prioritize national security how a non-intervention and non-empire approach makes America safer, etc. This way you are not ignoring peoples’ issues, since you are engaging them at the very point of their concern, while not fudging on your own principles. Triangulate the anti-establishment vote. Don’t pummel Trump, instead attack the excesses of critics of the trend he has represented, then assert how the liberty approach will best address or solve the issues Trump etc ‘outsiders’ have raised. Avoiding addressing those issues and attacking their messenger will alienate those voters, whereas this approach will co-opt many of them. Focusing on this election dynamic and voting group, not the particular candidates who reached this bloc, is the best path to attracting them. Show a spine, confront the mainstream. Be willing to say patently non-PC things, and not back down, as a way of introducing a unique dimension to issues that is left out of the two-party paradigm coverage of the campaign. The LP candidate should, as it is not representing as being a “mainstream” party, be able and willing to say some red meat things to pull a fragment of the mass audiences the liberty way, issue per issue. In this way libertarians can bring up “our” issues in a way that resets the table in our favor. Talk plainly about the covert-op driven foreign policy (including false flags) that keeps the country engulfed in foreign wars. Tell the Democrats concerned about income inequality that the monetary policy of the Fed is the overwhelming cause of the issue, as it has served to crucify the middle class with zero interest rates (as James Bovard put it, “folks who relied on their savings have been devastated at the same time the Federal Reserve artificially inflates stock values to benefit the richest Americans.”); and so on. 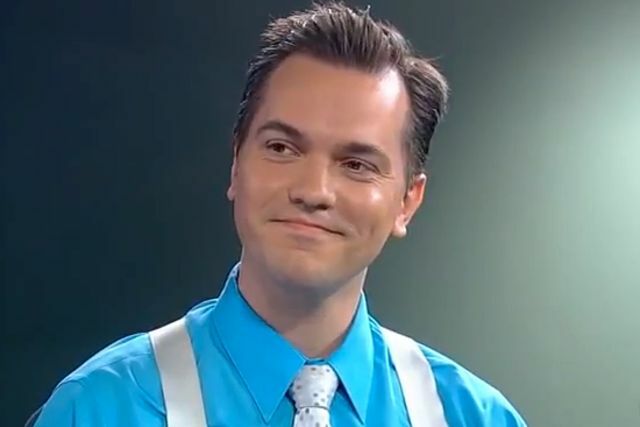 The best national liberty candidate (speaking without names attached) would be someone with consistently pro-liberty positions, who can and will seek out and engage reachable voting blocs beyond the liberty base. Regarding the latter, on the GOP side, Ron and Rand Paul did not do this. I don’t see Justin Amash or Thomas Massie doing this. On the LP side, I don’t see the current announced field doing this either, but I’m welcome to be proven wrong. 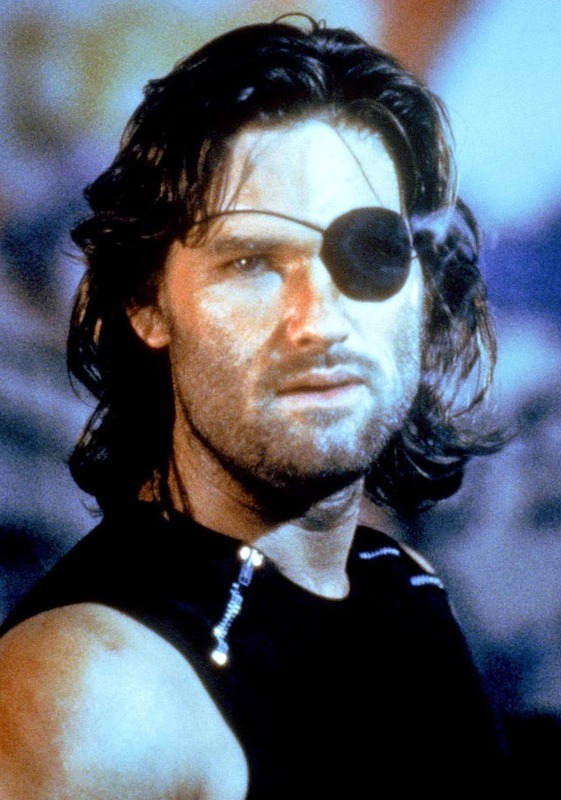 Based on the 2016 experience, we need a Paul-minded candidate with a William Wallace alpha vibe. Someone who will really go after getting the Tea Party, cultural right, and outsider voting blocs in the GOP universe. This same candidate should also appeal to the Millenials on the Democratic side by bringing up the “1%” of Wall Street issues in a libertarian context (i.e., objecting to corporate welfare, the Federal Reserve’s destruction of middle class savings to the benefit of the banksters and globalists). The LP also uniquely can speak to protecting youth from any attempts to reinstate the military draft, that certain demonic Beltway figures of both major pro-war parties have not only advocated, but suggested should be expanded to conscript young women as well as men (ain’t equality grand?). Whatever the case, the candidate has to do more than just embody the liberty base. More to the point, running an education-only style candidacy does not create a winning coalition. You don’t just speak core things to a core audience, you have to actively reach out to energize a mass audience, or enough segments of that audience to win. Fortunately for the LP, that ‘win’ only needs to be a uniform 5% or higher finish across the country, in order to get the freedom bells to start ringing.